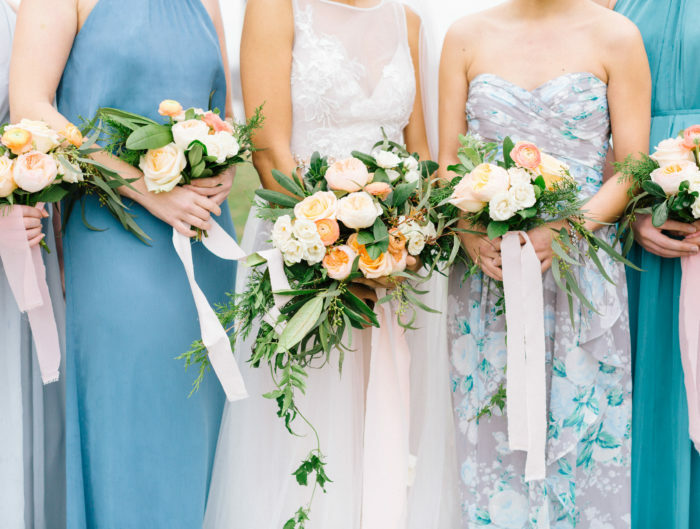 Captured on a sunny day overlooking the Shenandoah Valley, this Blue Ridge Mountain wedding inspiration exudes a timeless, authentic design that relies heavily on understated organic beauty. 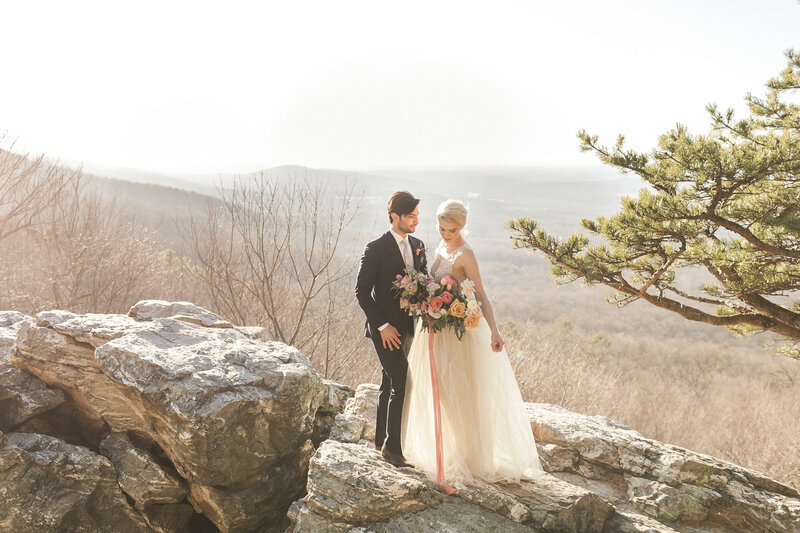 Furthermore, the essence of the mountain overlook was captivating. 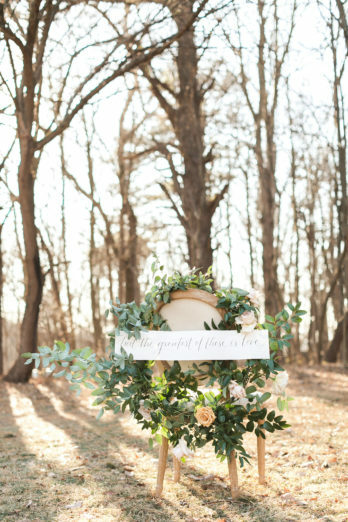 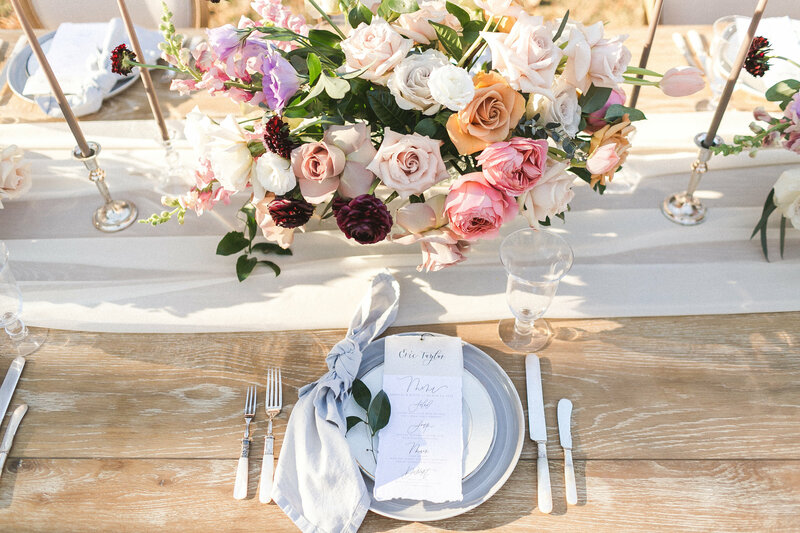 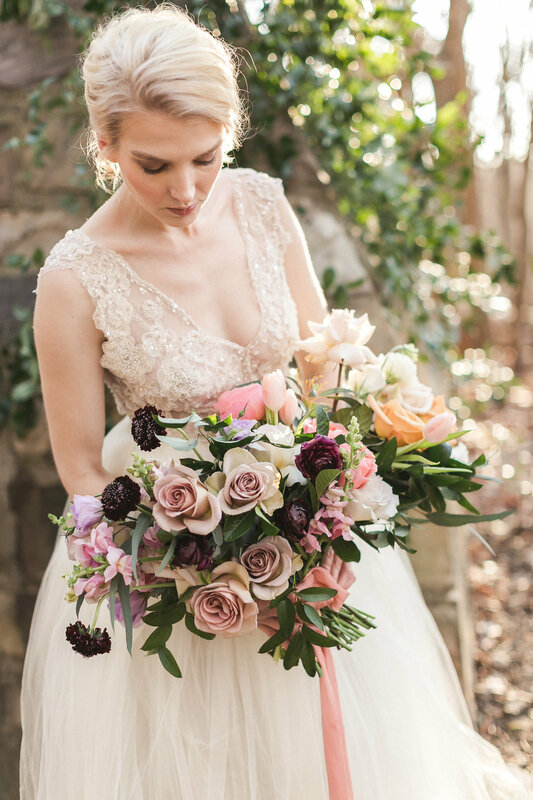 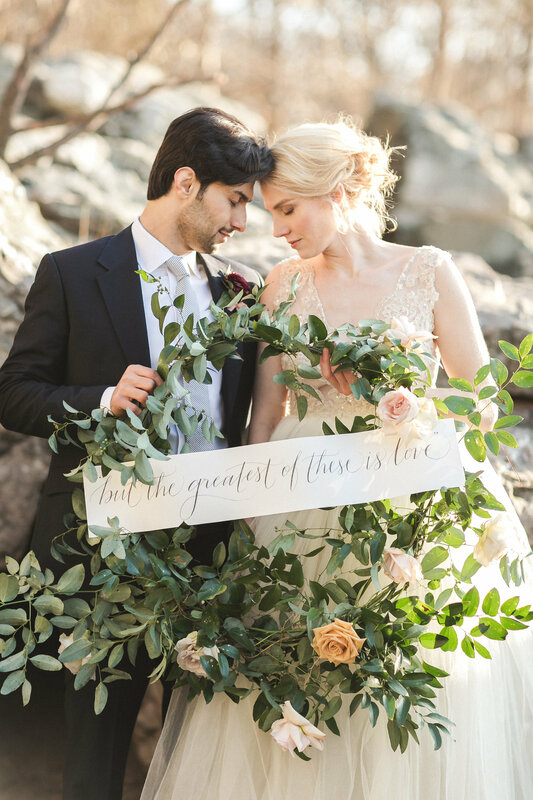 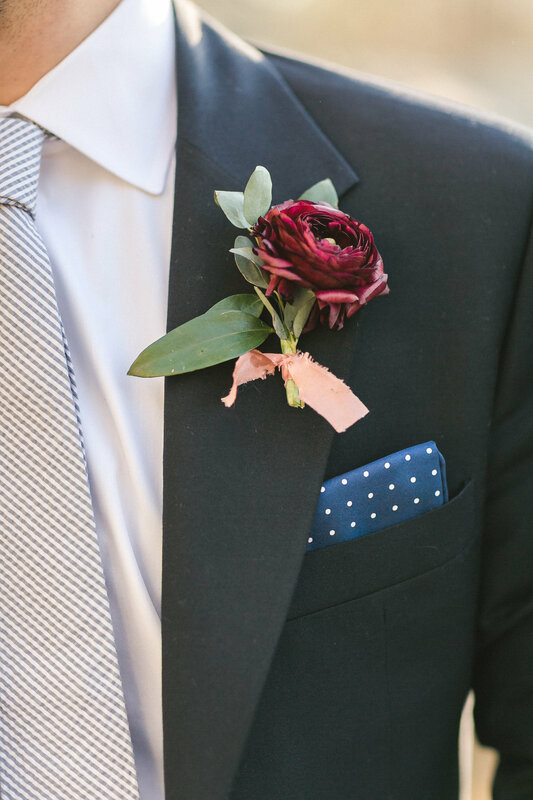 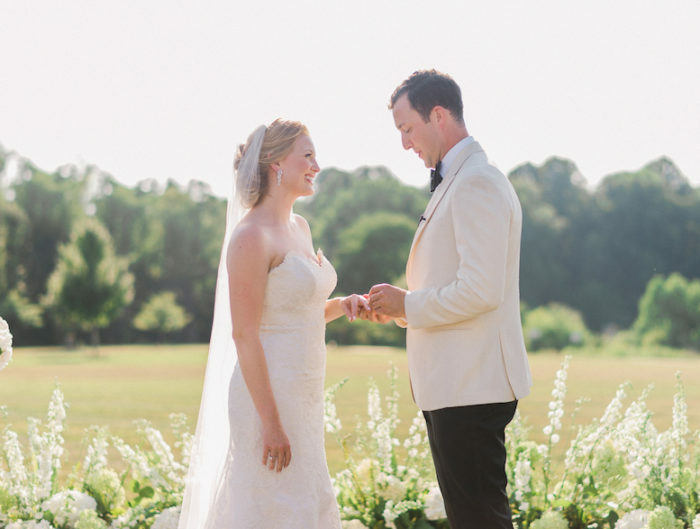 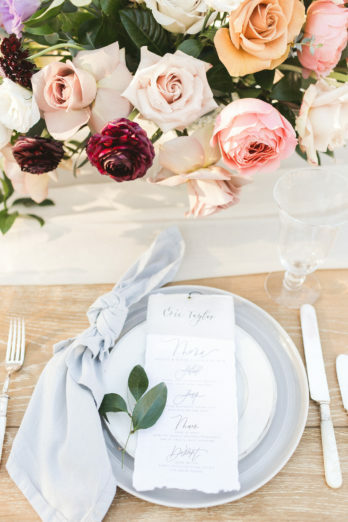 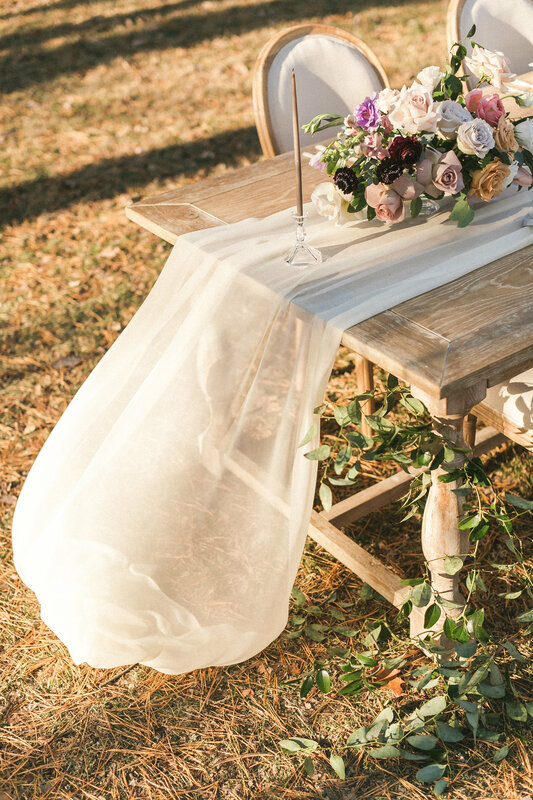 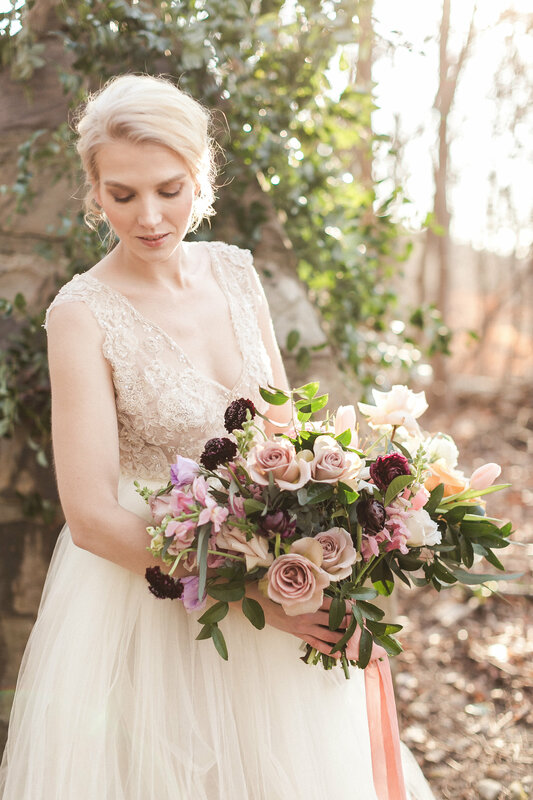 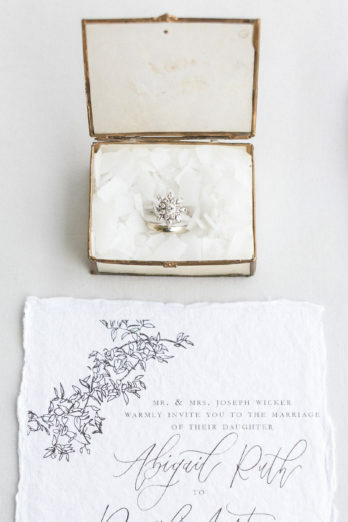 It was the perfect canvas to showcase this soft romance design, captured by Anny Photography. 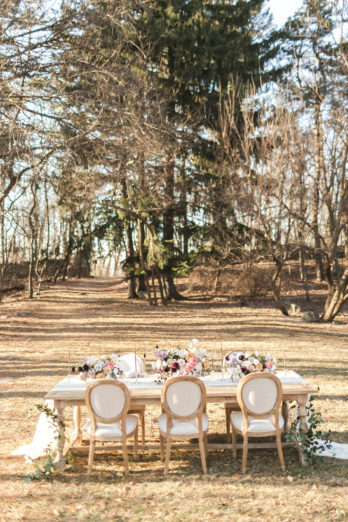 From the classic details to the unexpected modern touches, understated beauty was plentiful in every single element of this styled shoot. 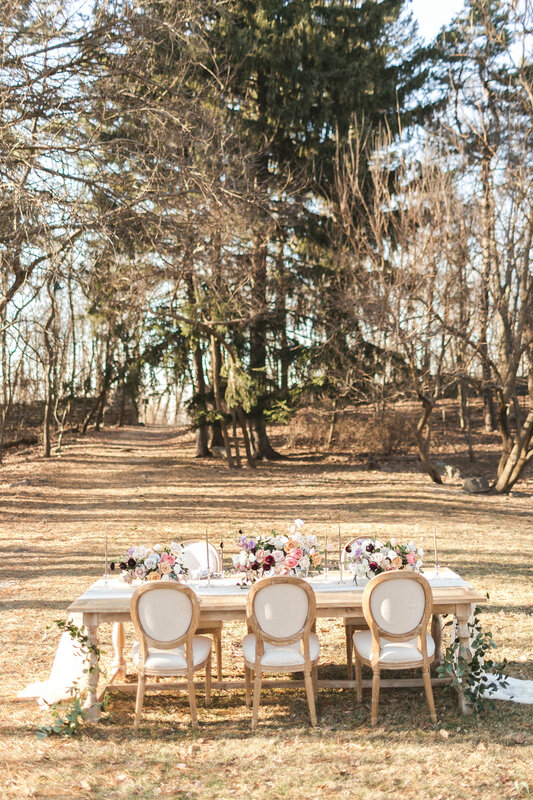 The minimalist tablescape featured a floral centerpiece outfitted with ample greenery and lush pastel-colored blooms. The arrangement added a delicate freshness to the light wood table and chairs and delicate touches of silver accents. 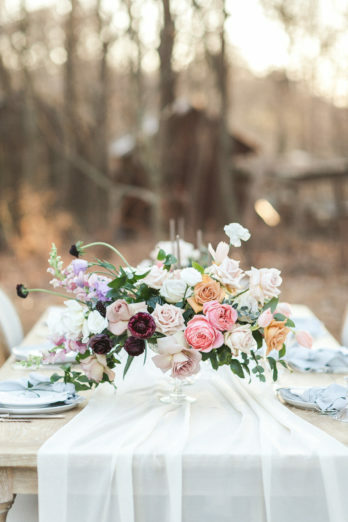 As a result, everything felt modern yet timeless. 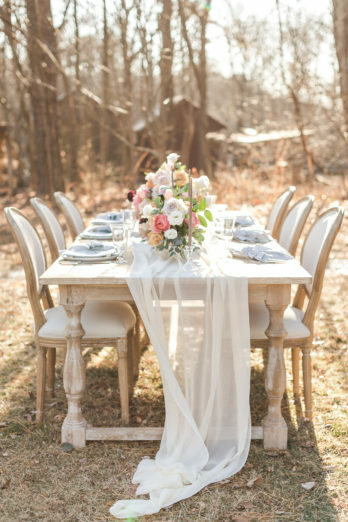 From the ivory silk runner, the silver candlesticks and mother of pearl flatware no element of this table was overlooked. 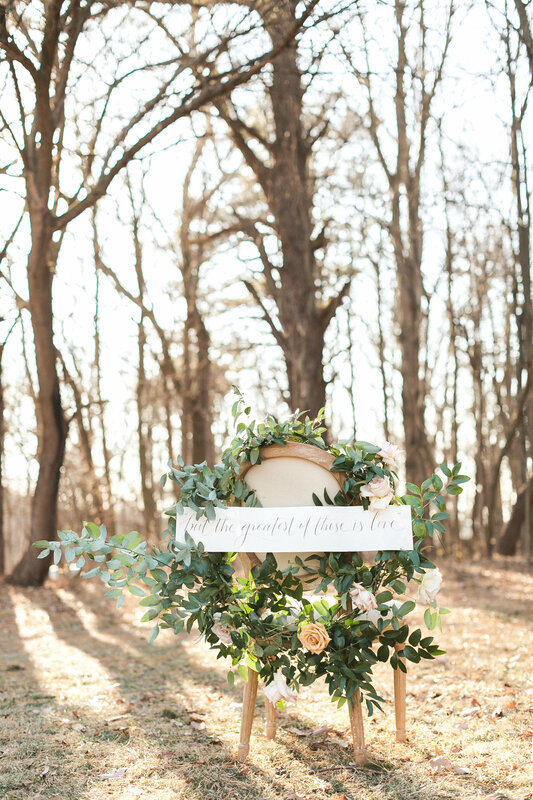 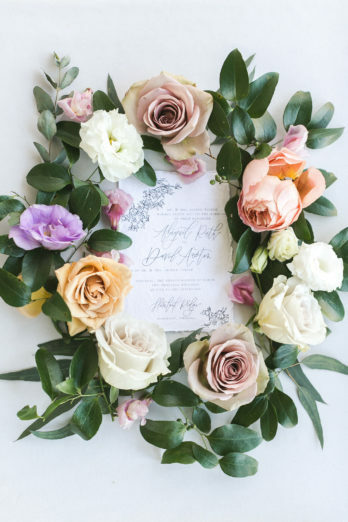 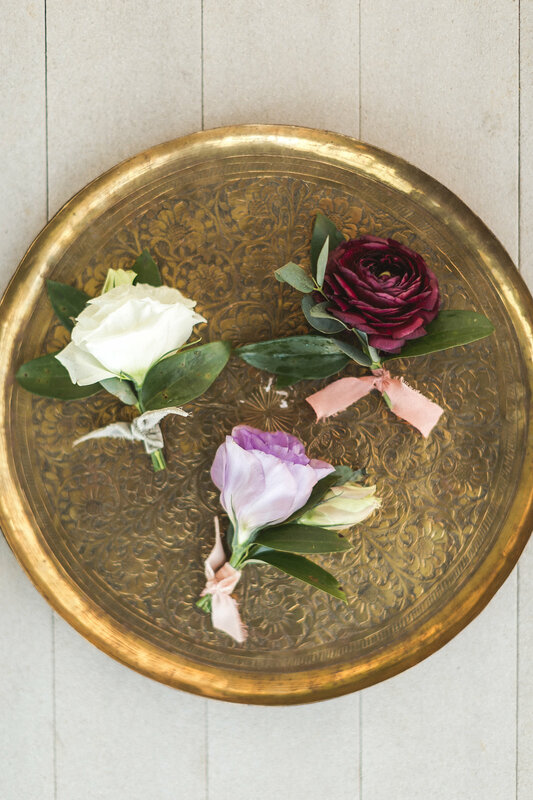 The loose foraged wreath the couple held featured a few soft floral blooms, therefore tying it all together. 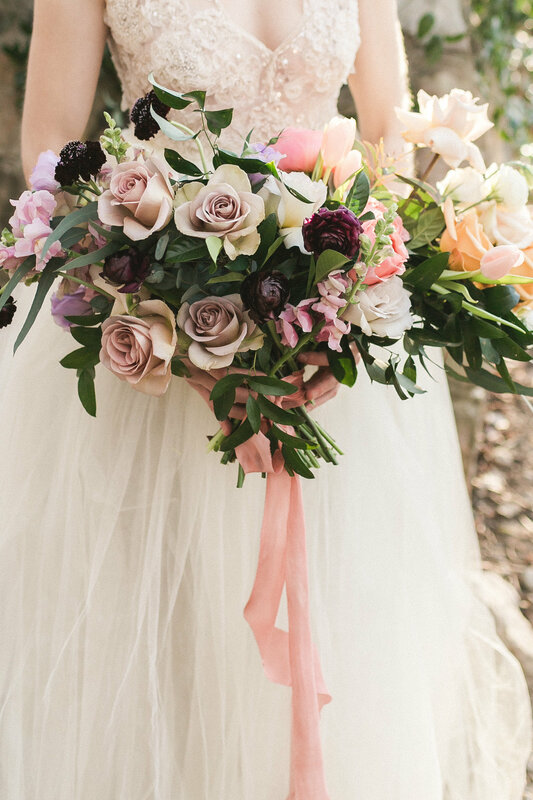 Colors and textures were paired together to create a dramatic bouquet that we can’t get enough of. Finally, let’s talk about cake! 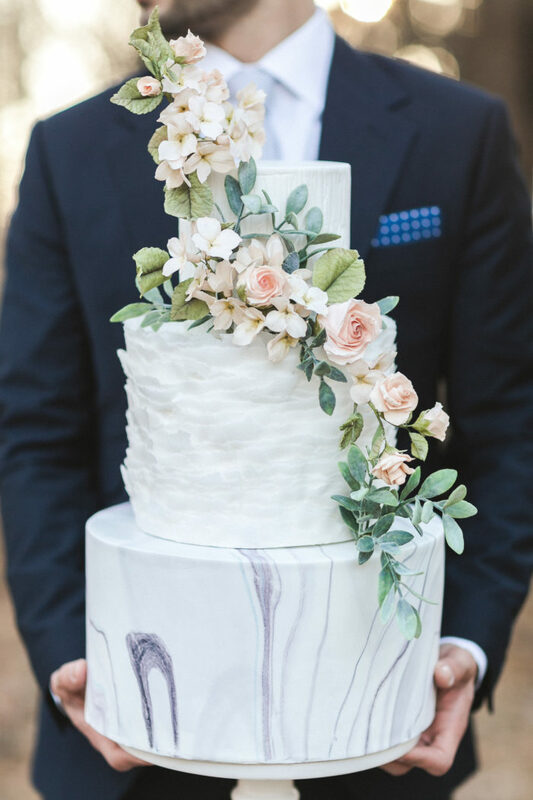 Delicate handmade sugar flowers and greenery gently cascaded down the gorgeous cake. 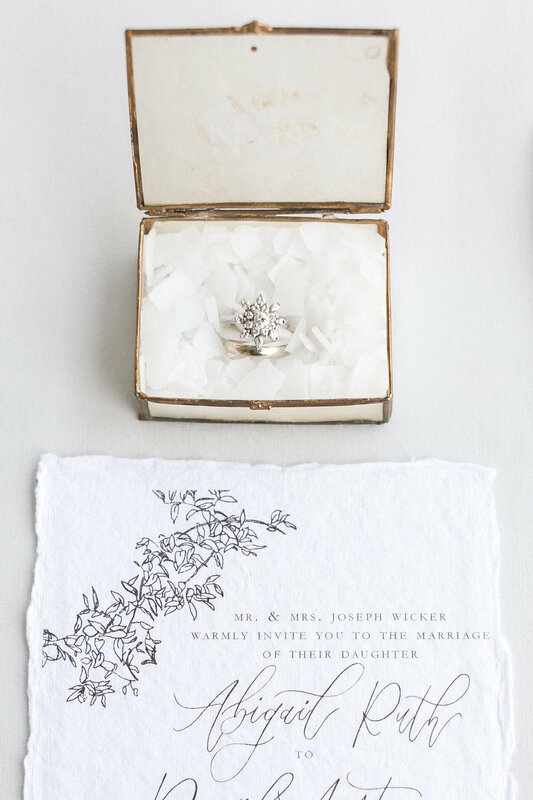 The sugar flowers were a work of art. 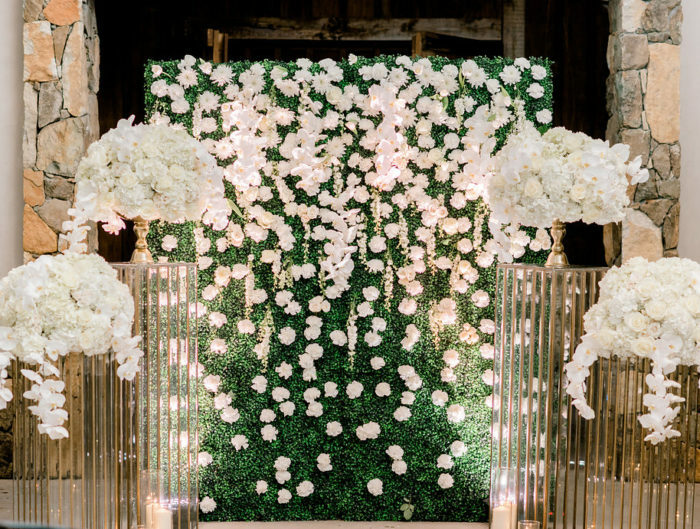 In addition, the marble design on the first layer and the ruffle design on the second layer took the design to new heights. 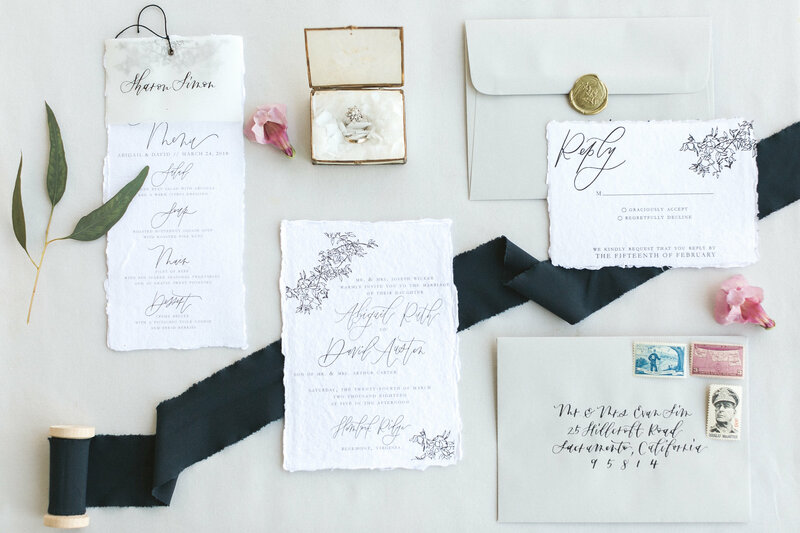 Modern and traditional come together in this stunning design.